Fusilli, both in Campania and in Molise, are a traditional food product: they are spaghetti that are curled around a spindle (fuso, in italian), a wooden tool for spinning by hand, from which they take their name. 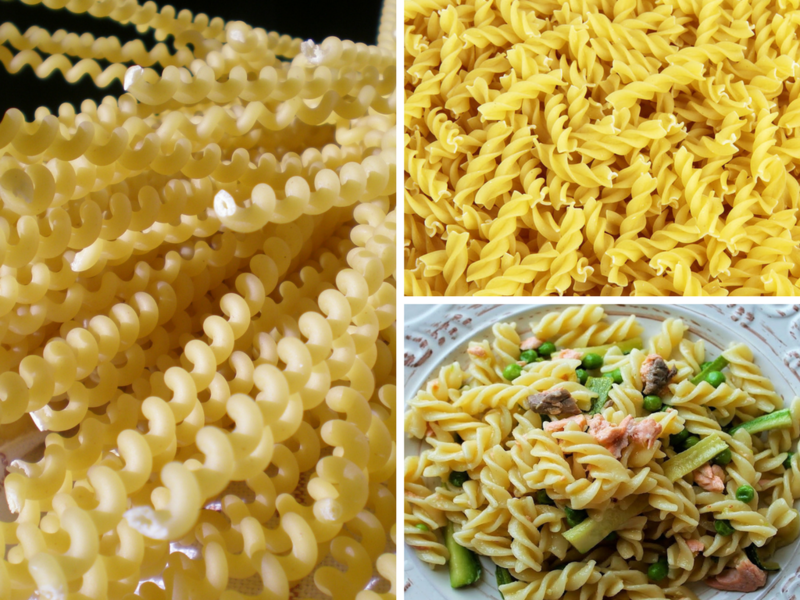 Fusilli are also called those formed with twisted fins, such as propellers, twins and spirals, also used in the recipe that we present here. This light first course, quick to prepare, can be served both cold and hot: it is ideal for lunch on a hot summer Sunday but also for the lunch break in the office. Boil in a pot to steam the peas and the salmon steak. Cut into julienne zucchinis and cook them in a pan with a little olive oil, salt and a pinch of crushed red pepper. Add 1/2 cup of water and cook. Bring to boiling salted water and cook the pasta. Drain the pasta and pour into the pan with the zucchini, add the peas and the salmon into small pieces. Stir-fry and serve hot or cold.